Welcome to Mailee Express in Worcester. We are a same day courier service specialising in direct door to door deliveries. With over 15 years experience in the same day industry we have developed a strong commitment to customer service and reliability while maintaining a competitive price. 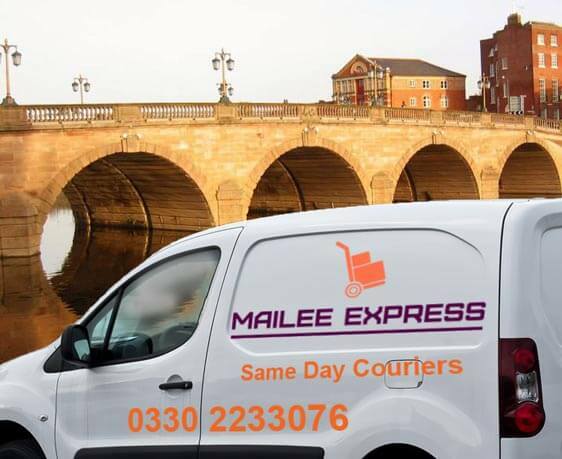 Combining our fast response times with an excellent geographic knowledge of Worcester, Mailee Express collects within 60 minutes of booking from anywhere in and around Worcester for direct delivery straight to the destination. Our same day couriers are available and ready to collect in Worcester even at short notice. We are flexible and accommodating so you can count on Mailee Express to meet your deadlines and deliver on time. Moving a variety of cargo on a range of different size vehicles our courier service is tailored to requirements. So, if you need a same day courier in the Uxbridge area for parcels, pallets or larger items we are the company to call. Friendly & Professional same day service by experienced local couriers who care. Locally positioned in Worcester and benefiting from the M5 motorway link, our couriers are in prime position to fully cover Worcester and surrounding towns. Our local couriers collect throughout Worcestershire and deliver to anywhere in the UK. Collecting from Worcester within 60mins of booking!